Now, back to the desert road trip with Rina. Actually, there’s a good reason to visit Las Vegas. 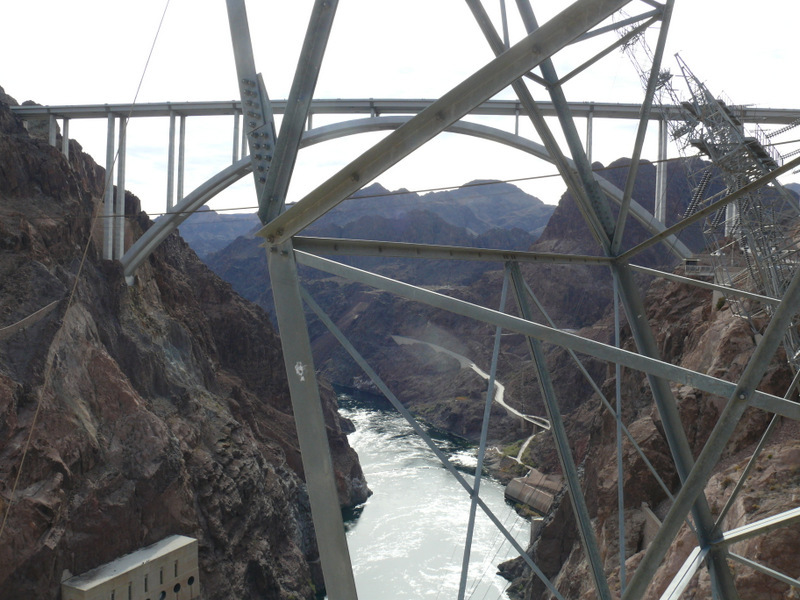 It’s an hour from Hoover Dam and the Pat Tillman Bridge, and our excursion to see the dam and bridge was, for me, the high point of the trip. I’d seen the bridge last spring but had not walked onto it, and i’d seen the dam twice before but had never taken the time to do the tour down inside it. This time i accomplished both objectives. Capsule review: do both. 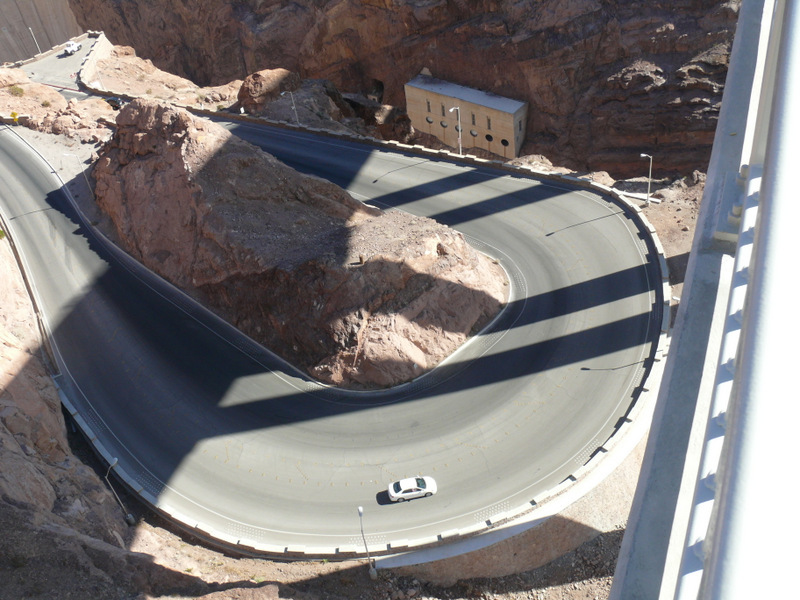 US highway 93 was originally a two-lane highway connecting Las Vegas and Phoenix and crossed the Grand Canyon on top of Hoover Dam. 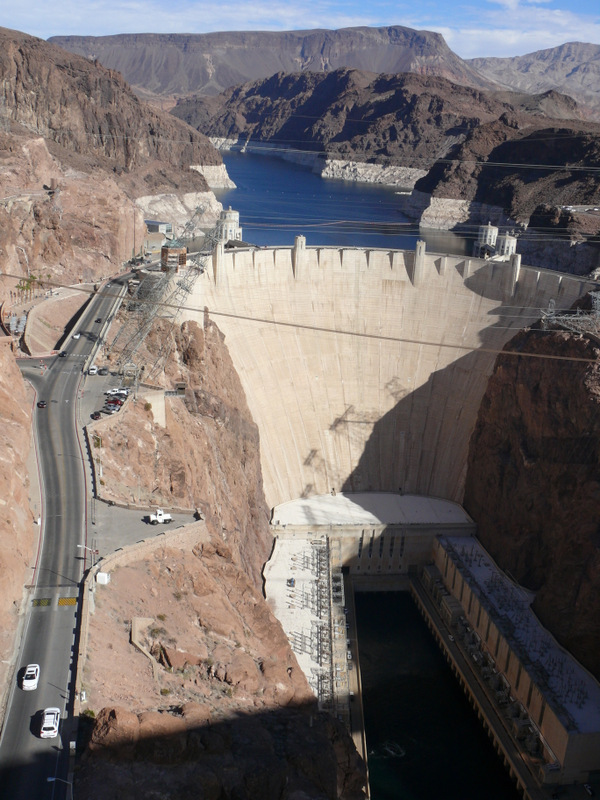 Unfortunately there were hairpin turns on both sides of the dam and the dam itself could accommodate only two lanes, making expanding the highway impossible. Nevertheless, it was a beautiful drive if you were not in a hurry, but by the 1990’s, traffic had increased to the point that there were multiple-hour delays to get over the dam. A bridge was necessary. 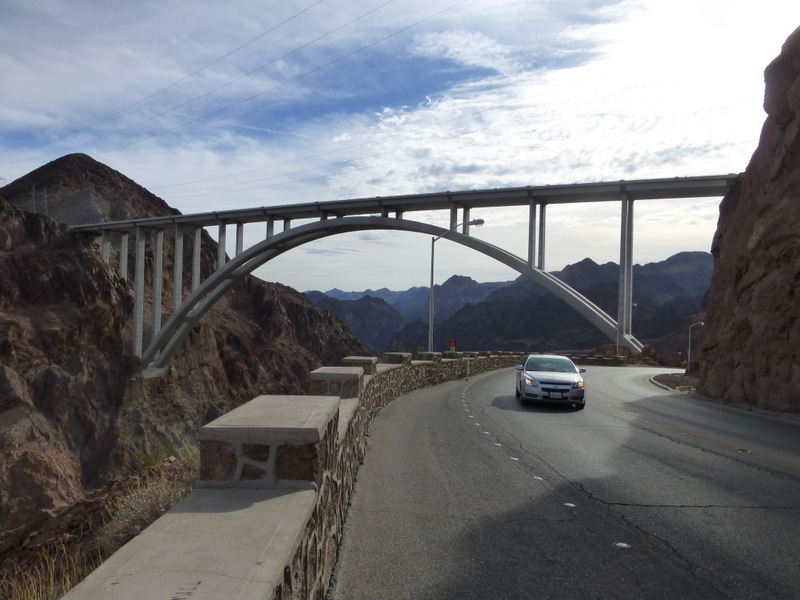 And we ended up with the magnificent Pat Tillman Bridge parallel to the dam and just a few hundred yards south of it. Barriers on both sides of the bridge prevent people in vehicles from looking down into the canyon, doubtless for safety reasons although this does not seem to have been deemed necessary for other bridges with great views, like the Golden Gate. Still, there’s a pedestrian/bike pathway on the north side of the bridge that is accessible from a parking lot off the road leading to the dam. Spectacular views from the pedestrian pathway. Here’s the road leading to the dam, as seen from the bridge. 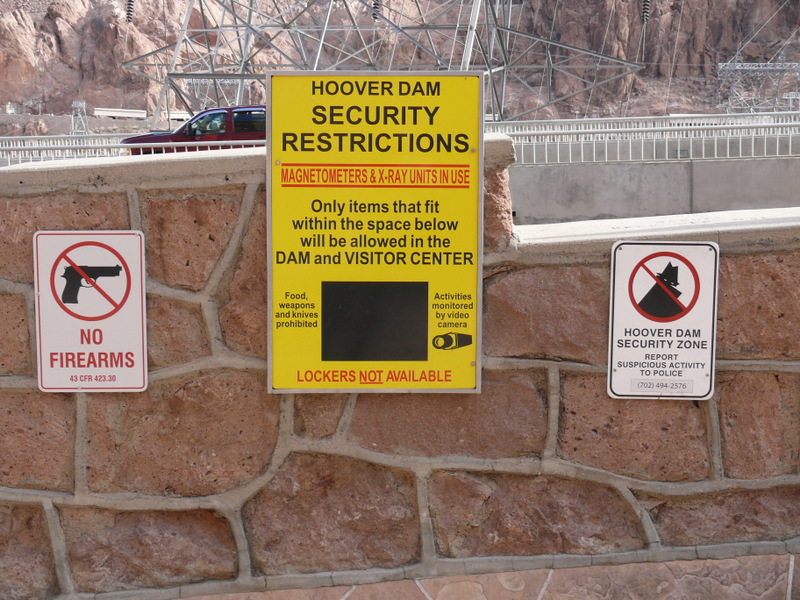 Immediately before the dam, there’s a parking garage that provides access to the dam, the public building at its end, and the interior. 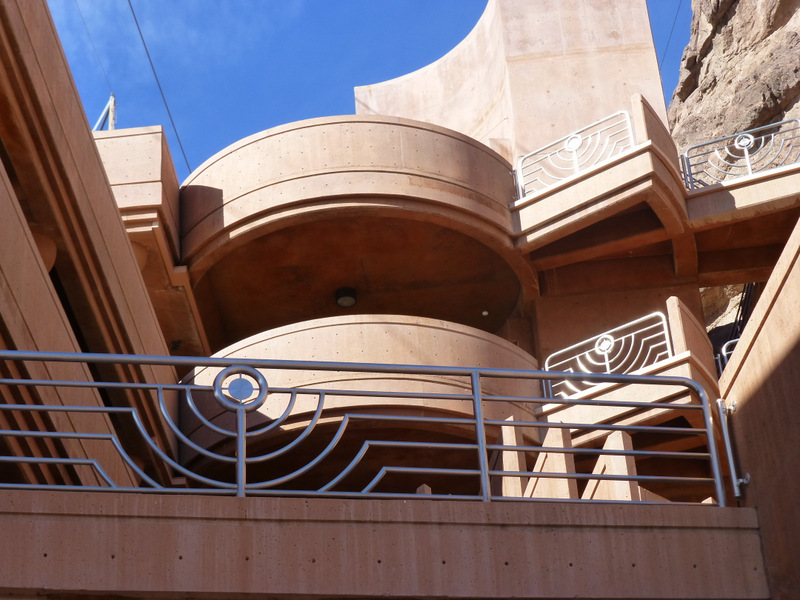 I just love that deco architecture. 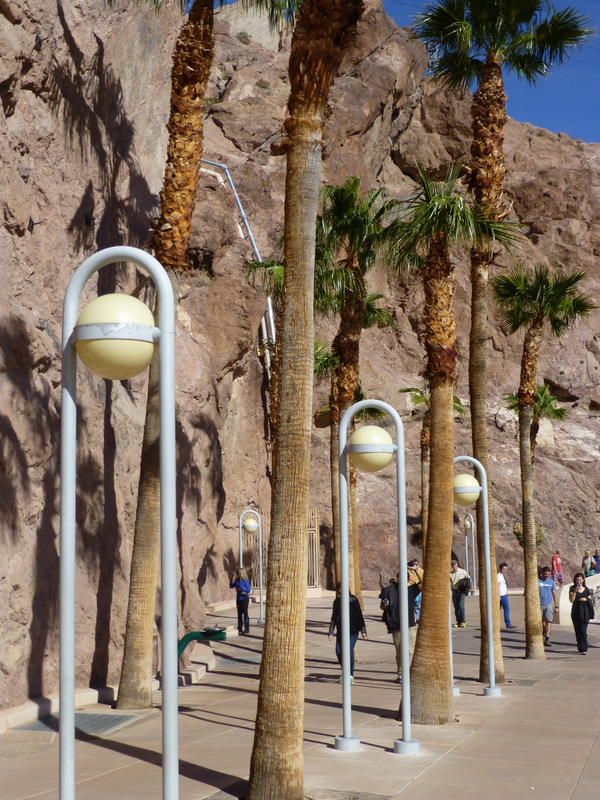 And what about these light fixtures! Almost as fine as the ones on the Golden Gate Bridge. And inside? 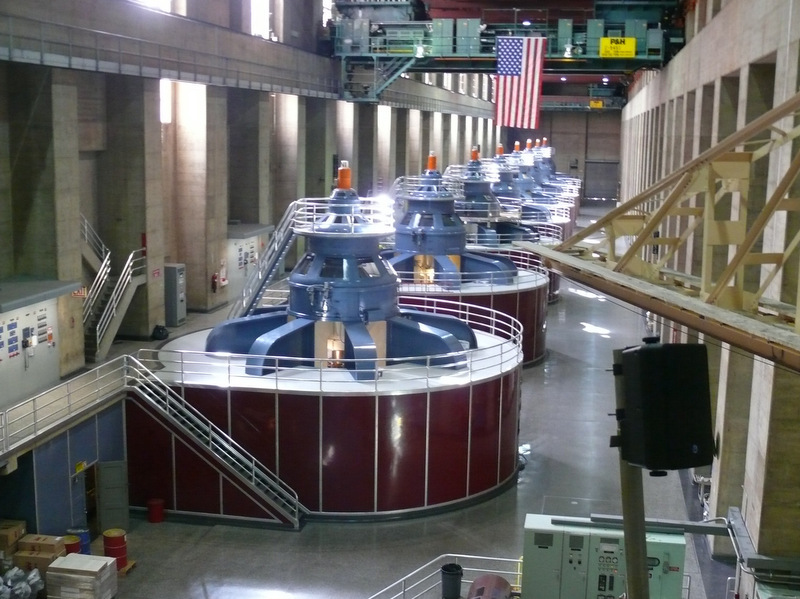 Well, aside from the usual gift shop, you can get tours down into the bowels of the dam, during which you get a wealth of information about the construction of the dam and then get to see the giant turbines that generate enough electricity to power the southwest at the time they were built and still are a valuable source of renewable energy. And surely you didn’t think you could escape a pic of the bridge. OK, here’s a more traditional shot. Turn your neighbors in, and don’t feed the terrorists.